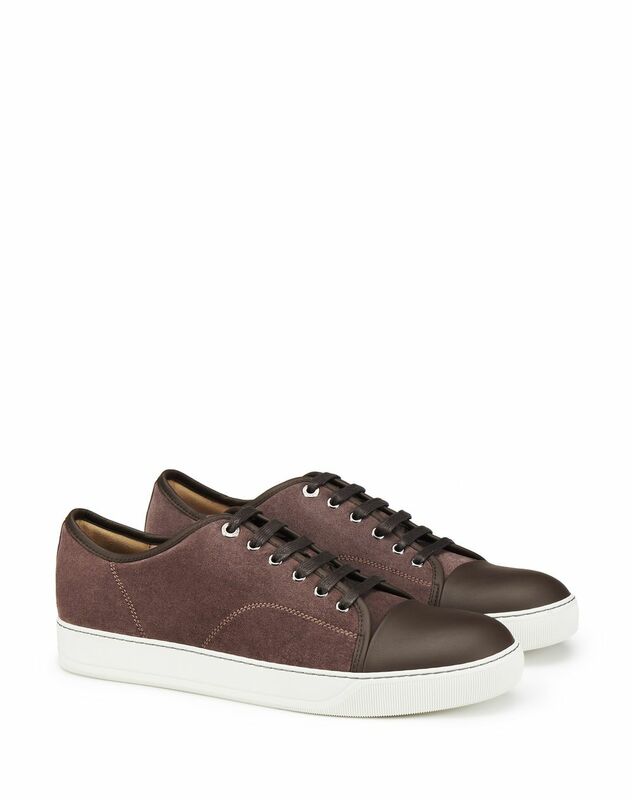 Clay-colored low-top sneaker in nubuck-effect calfskin leather, tone-on-tone nappa calfskin leather over-seam and cap toe, tone-on-tone cotton topstitching and laces, beige 100% calfskin leather lining with logo, and exclusive contrasting topstitched white rubber sole. 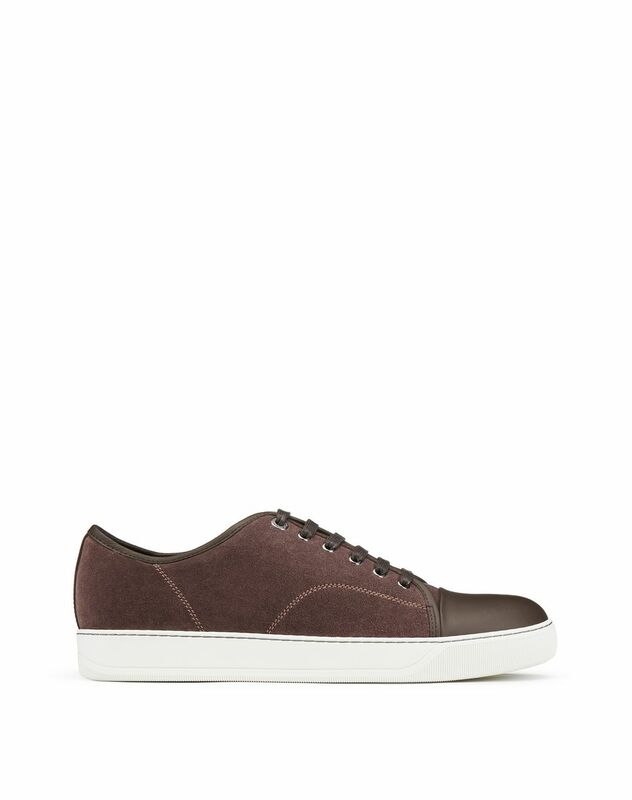 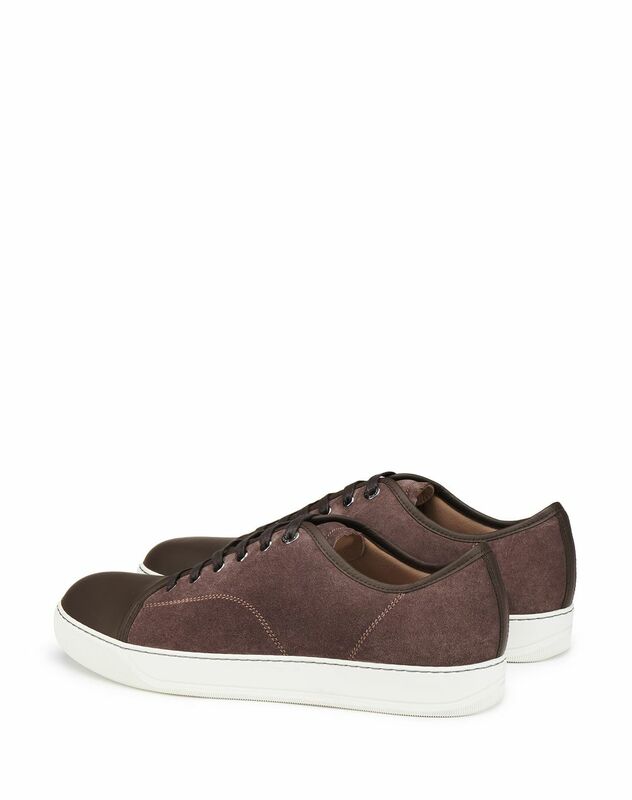 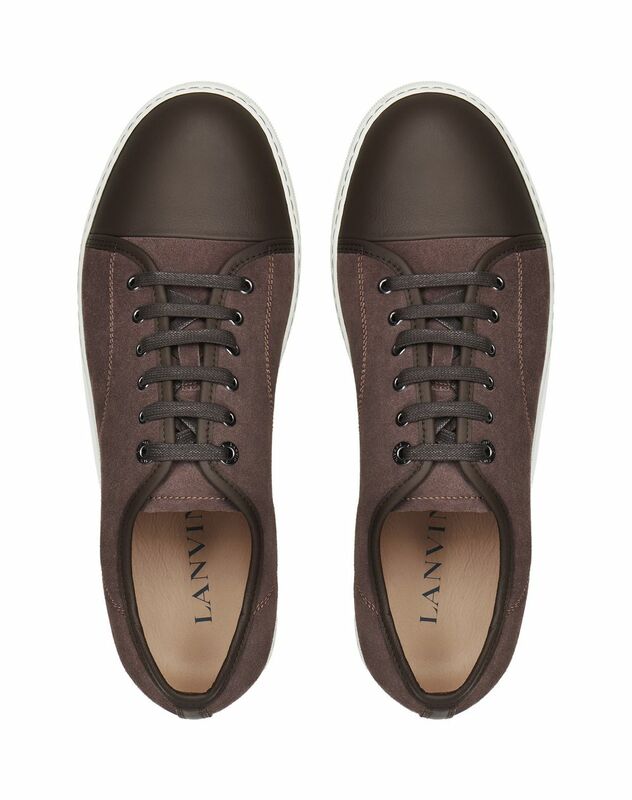 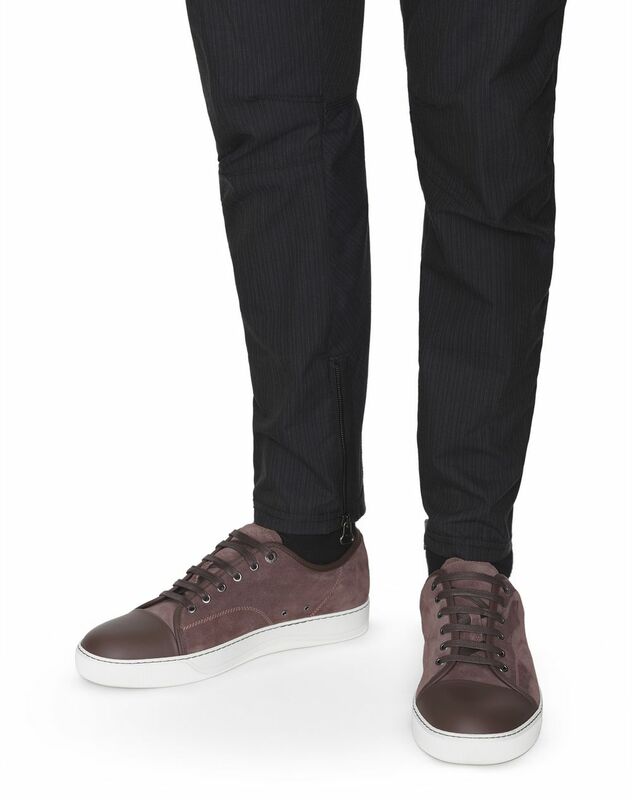 Each season, Lanvin reinvents its low-top sneaker models – timeless icons of the Lanvin men’s wardrobe. 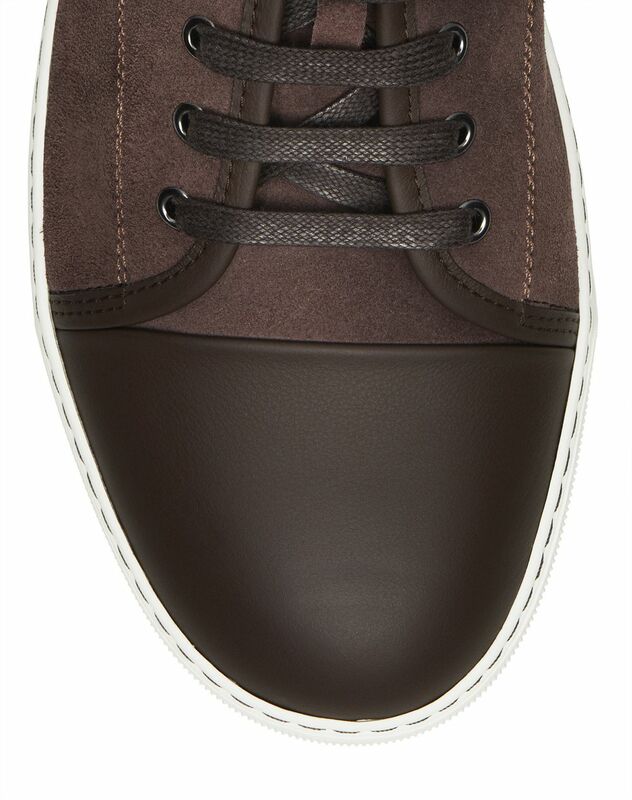 The classic silhouette of this style combines with the textured nubuck effect for a look with contemporary and casual flair.